Grab some team-mates to have a kick about for Red Cross. 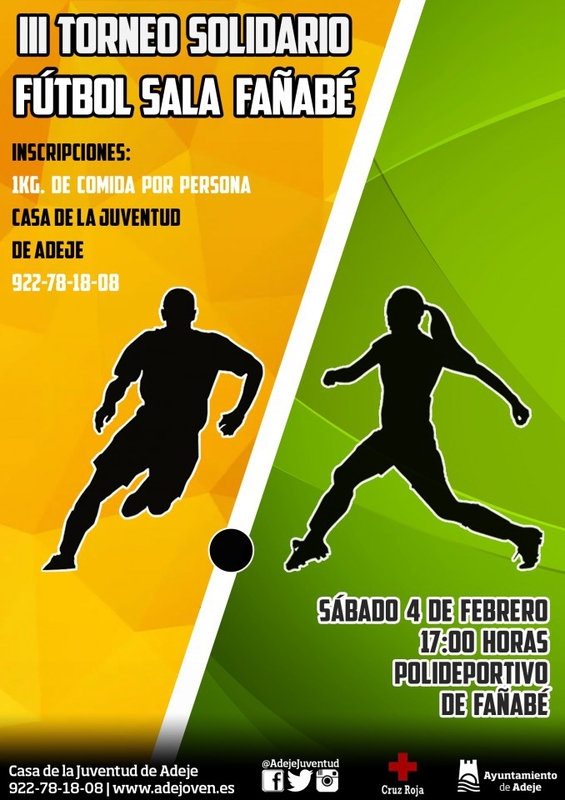 The town of Fañabé is hosting its third running charity football five a side tournament on the 4th February to give food to the needy. The tournament will be made up of teams with a minimum of five players, each of which must donate a kilo of non-perishable food to participate which will be donated to the Red Cross. The tournament is part of the social project Movilízate. To particiapte you can register your team by filling out the form on the website and sending it to juventud@adeje.es or giving it in at the Casa de la Juventud de Adeje. The final date to register is the 2nd February. For more info call 922 78 18 08.